TICKETS: General admission tickets are $50 for a single concert or $135 for the three-concert series. BMA Member tickets are $35 for a single concert or $90 for the three-concert series. Tickets sell out quickly, so advance reservations are highly recommended. Each ticket includes evening access to the Odyssey: Jack Whitten Sculpture, 1963-2017 exhibition from 5 p.m. to 7 p.m.
For general museum information, call 443-573-1700 or visit artbma.org. The Baltimore Museum of Art’s (BMA) popular summer jazz series returns with three concerts inspired by artist Jack Whitten’s passion for jazz. If the weather is good, these casual concerts will be held in the BMA’s beautiful Janet and Alan Wurtzburger Sculpture Garden. Designed by George E. Patton and opened in 1980, the garden presents 19 early modernist works by artists such as Alexander Calder, Jacques Lipchitz, Isamu Noguchi, and Auguste Rodin amidst a flagstone terrace and fountain. Concert-goers can choose intimate concert seating provided by the BMA or bring their own chairs or blankets for a picnic. Gertrude’s restaurant offers Jazz+Dinner tickets, which include an elegant three-course meal served on the terrace during the concert. Call 410-889-3399 for reservations. Odyssey: Jack Whitten Sculpture, 1963–2017 is the first exhibition devoted to the renowned artist’s sculpture. The exhibition features 40 works inspired by the materials and traditions of Africa and ancient Greece, plus Whitten’s Black Monolith paintings honoring prominent African Americans such as Maya Angelou, James Baldwin, and Ornette Coleman. Praised for his music’s “elusive beauty” (DownBeat), and for his “style informed by tradition but not encumbered by it” (Philadelphia City Paper), Coltrane is a critically acclaimed Grammy nominated saxophonist, bandleader, and composer. He has released six albums and performs internationally. 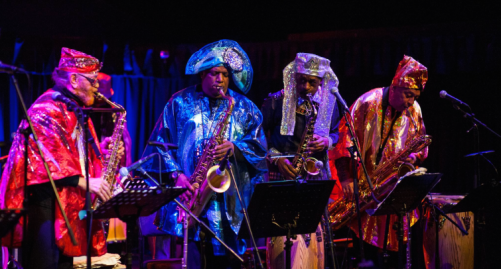 Founded by legendary experimental jazz pioneer, Sun Ra, the Arkestra now performs under the direction of long-time band member Marshall Allen. Their outer space-inspired music has been heard at the Melbourne International Jazz Festival, NYC Winter Jazzfest, Lincoln Center, and The John F. Kennedy Center for the Performing Arts. With breath-taking command of the piano, Lafayette Gilchrist is widely regarded as one of the area’s most prolific and original composers. 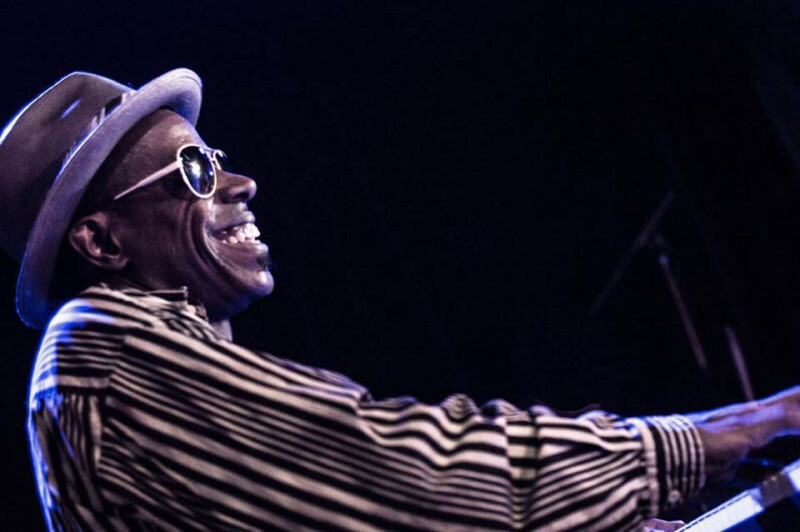 He has performed with Carl Grubbs, Cassandra Wilson, and Macy Gray. His compositions, Assume the Position and Coded Sources, are a part of the original score from David Simon’s The Wire and Treme. If the skies are clear and the heat index is mild, the Museum will release more than 150 tickets at 1 p.m. for outdoor seating. Please call the BMA Box Office at 443-573-1701 for details on the day of the event. Founded in 1914, The Baltimore Museum of Art is a major cultural destination recognized for engaging diverse audiences through dynamic exhibitions and innovative educational and community outreach programs. The BMA’s internationally renowned collection of 95,000 objects encompasses more than 1,000 works by Henri Matisse anchored by the famed Cone Collection of modern art, as well as one of the nation’s finest holdings of prints, drawings, and photographs. The galleries showcase an exceptional collection of art from Africa; important works by established and emerging contemporary artists; outstanding European and American paintings, sculpture, and decorative arts; significant artworks from China; ancient Antioch mosaics; and exquisite textiles from around the world. The 210,000- square-foot museum is also distinguished by a grand historic building designed in the 1920s by renowned American architect John Russell Pope and two beautifully landscaped gardens featuring an array of 20th -century sculpture. The BMA is located in Charles Village, three miles north of the Inner Harbor, and is adjacent to the main campus of Johns Hopkins University. General admission to the BMA is free so that everyone can enjoy the power of art.